Karlsruhe, in Germany`s southern region, offers a modern environment with excellent infrastructure and immediate access to desirable film locations. The city is a mix of cultural, industrial and historical variety from its architecture to its environmental diversity. Our location scouts will help you find the perfect location. Karlsruhe is proud of its growing film industry and its reputation in the arts and sciences. The many professionals based here, the excellent network system to studios and freelancers, the realization of complete post production values and mostly, the support and finished product make Karlsruhe the best choice for all your film production needs. The Filmboard Karlsruhe; the professional partner you have been looking for. Making Movies in Germany - why not in Karlsruhe? The Baden-Württemberg-Region in South-Western Germany offers plenty of new locations: from classical to futuristic architecture, from urban to industrial, including the most beautiful castles, and from the Black Forest to Lake Constance. 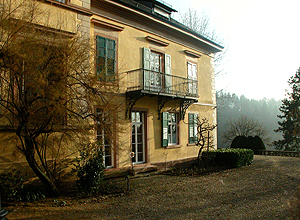 The Location Office in Karlsruhe`s House of Films is your professional contact to finding your special locations. The region in and around Karlsruhe is a treasure trove. Near the vicinity of the French border; you will find spectacular scenes of historical and cultural value, such as the Maginot Line, with kilometers of World War II earthworks and underground trenches, and the half-timber houses of Colmar. Karlsruhe; as a regional centre, offers a metropolitan and industrial flair. The 300 year old city is a mix between the centuries. 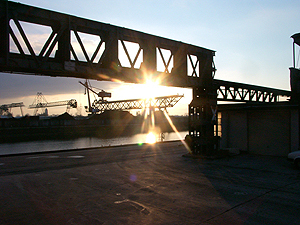 In the west, lays the Rhine Harbour, one of Germany’s biggest inner harbours with six port basins and a spectacular mixture of historical malt houses, cereal silos and container terminals. The Rheinauen‘s swamp-like riverside shores, similar to the tropical environments of equatorial Africa, was once used as a drill area for German troops on missions to Africa in the 1800s. As Germany’s second warmest city, Karlsruhe provides an excellent climate and viable shooting schedules. The “Turmberg hill” in Durlach offers a grandiose view of Karlsruhe’s skyline which reaches out to Frances` Elsass region. 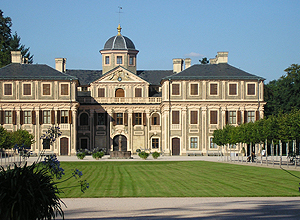 The 18th century Castle in Karlsruhe’s center was originally the residence of Margrave Karl Wilhelm of Baden-Durlach. The infamous fan-shaped outline is visible in a bird’s eye view. As a green countryside city; Karlsruhe is well known for its forests, walking and bicycling trails and gardens, with easy access to the inner city. One of the most famous classical German architects, Friedrich Weinbrenner, resided in Karlsruhe and created the market place with its typical design-style. The heart of Germany’s Court System; the Federal Supreme Court of Justice and the Federal Constitutional Court are based in Karlsruhe. The city is also a domicile for science and art with eight colleges and universities with approximately 30,000 students. Karlsruhe’s Institute of Technology, one of Germany’s elite universities, was constructed using different architectural styles, from modern to futuristic, and the world famous, Bauhaus-style. The media and creativity center in the East of Karlsruhe once a slaughterhouse area has been renovated and is a venue site for business and artistic events offering new cultural experiences and attracting economic investments. 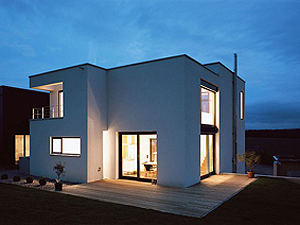 Its urban location has a mysterious charm and is becoming popular with filmmakers. In addition, Karlsruhe has Europe’s Number 1 “Center for Art and Media” (ZKM) as well as many theatres, cabarets and cultural event centers. Stay connected with Karlsruhe’s different institutions, especially the Mayor`s Office and the Tourism Bureau, as well as with our cooperation partner, Film Commission Baden-Baden/Karlsruhe as we procure the necessary film permits. Karlsruhe: a city of history, flair, media, art, science and culture. Karlsruhe; a city proud, growing, innovative and of the future.